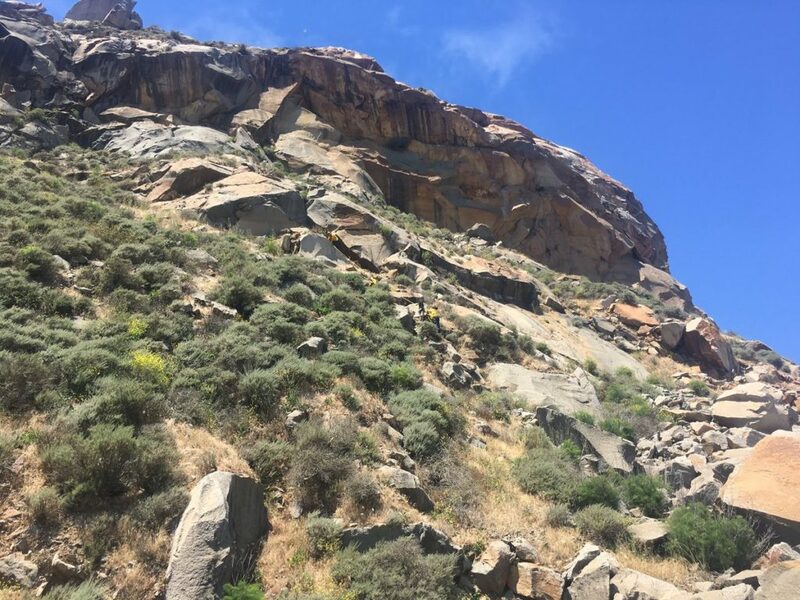 Morro Bay firefighters rescued a 42-year-old Bakersfield woman from Morro Rock on Sunday. 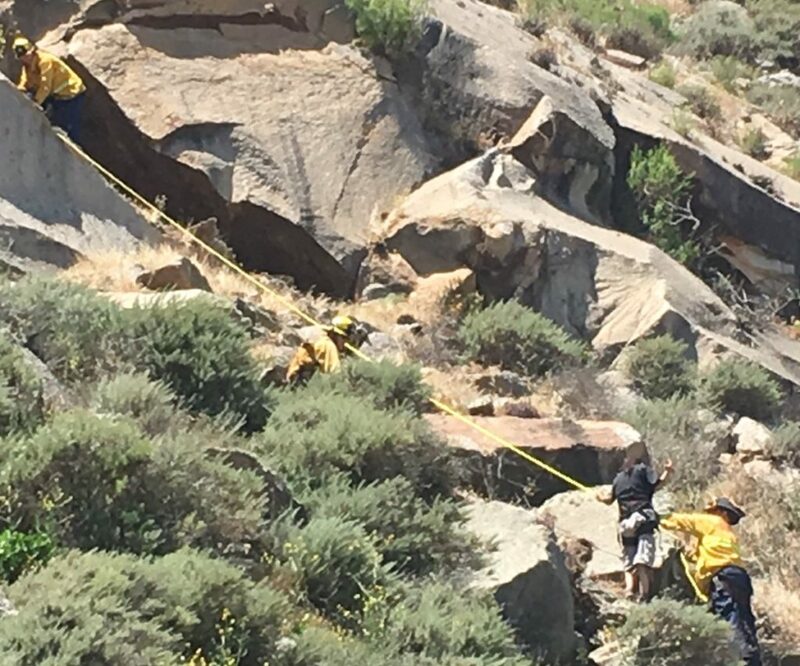 After receiving a call about the climber around 12:30 p.m., firefighters found her approximately 150 feet up the rock. The woman, whom fire officials described as a tourist, had an outstanding warrant in Bakersfield. State parks personnel issued her a citation for climbing the rock. City officials also plan to fine the woman between $2,000 and $3,000 to cover the costs of the rescue. Authorities have not disclosed the woman’s identity. Guess who will pay that fine…? I am always amused at the way the people on the Coast get smug about the people in the Central valley. In reality probably half of these people have their roots in the valley. All I can say is that having lived all across the US, there is really no basis for people here to be so smug and “uppity”. I don’t see any “Uppity” comments. might you have your own conscience you are referring? But besides that, is it not true that most Valley people would rather live here? I am not from the Valley, but the ones I have met have spent the majority of their lives figuring a way to the coast. Or SO the ones I know say! SO maybe you are referring to those? Those who “Have made it?” Those who are Uppity X VALLEY People? Sorry, but I grew up in NY City and then lived in Detroit, Toronto, Raleigh San Diego and Bakersfield. My total valley experience was 8 years. But certainly long enough to learn that the true work ethic and many other solid values were still present in the valley. Your comments certainly betray your true feelings about the Valley people. Me, I have nothing against the Valley Trash that show up every summer. They deserve some cool air and sea breezes. I don’t run into many of them though, the places i frequent have normal size doors and most of the valley folk can’t fit through them. Bakersfield woman arrested for trespassing on Morro Rock. she wasn’t lost, and did this illegal thing deliberately. Rescued ? what kind of euphemism rhymes with EXCUSE ME, she was trespassing? lying liars. SHE WAS CAUGHT TRESPASSING. it just so happens that it was a “she”. I submit this was the reason for the sugar coated headline. Locals here are like sentinels. I take a once-in-a-while peek at the police log sometimes and watch as our locals report tourists beating their kids in public, filming Cal Poly girls inappropriately, trespassing in areas such as this that they should not be in–even littering. So, she thought she would get away with this? At least they didn’t use a helicopter as they would have on Bishop Peak.